Alex Lykos grew up in Australia. In the early 1990s he won a tennis scholarship at the Western Kentucky University. Lykos continued playing tennis at a professional level until returning to Australia in 1999. 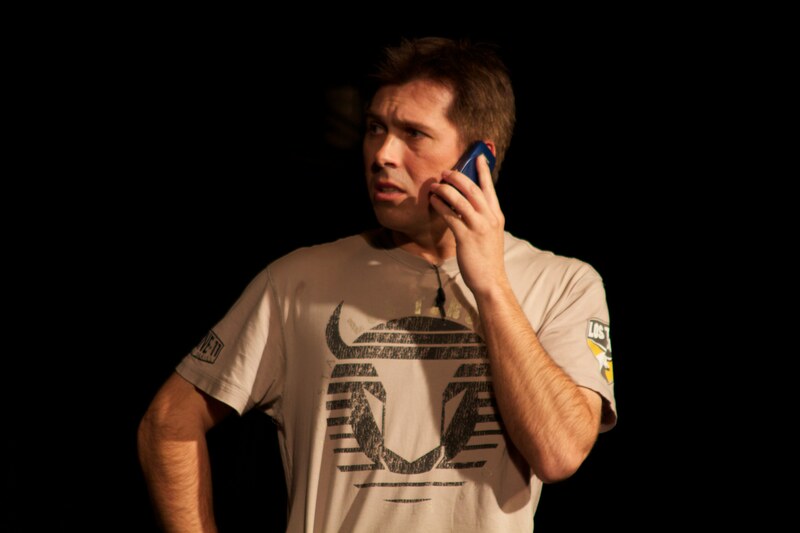 He then began writing film and play scripts, and in 2006 formed the Bulldog Theatre Company. Alex wrote several successful stage plays including Alex and Eve, Better man, A Long Night and It’s War. Last week I interviewed this successful, multitalented, yet humble actor / writer whose work is to be commended because his stories and selection of cast always reflect diversity in modern Australia. 1) When you were growing up in Australia who were your role models? Actually, when I was growing up I was as far removed from the arts as possible. I used to play tennis and my idols were Ivan Lendl, Mats Wilander and Michael Chang…Once I got into the arts, I admired the work of Woody Allen and Cameron Crowe. 2) What made you want to break into Australian Theatre / TV / Film? When I finished playing tennis, I was at a crossroads. I was a bit cheeky in school so I thought, at the ripe old age of 28, why not do an acting course. I found I enjoyed it. In the meantime, all the photos I took while I was in America, I placed in an album and wrote little bits about each photo. I found I enjoyed that and then proceeded to write a story about my time in America…which by the way I read again, about 6 months ago and is by the worst screenplay in history!!! 3) What motivated and inspired you to write Alex and Eve the play and then the movie? I had watched several romantic comedies and they all came from a the female’s perspective. SO I wanted to write a story which explored the angst a mid 30s male has in trying to find somebody. Then I had met someone from a different religious background and thought, mm, that might be interesting to explore. Put the two ideas together and Alex & Eve was born. 4) Do you see a positive change to colourblind casting in Australian film/ TV / Stage & do you incorporate this in your writing & casting? I actually am starting to see that there is a bit more of an effort to cast CALD actors. Its a process and hopefully films like Alex & Eve, UnIndian and televisions shows The Principal will continue to aid in the changing of the guard so to speak. 5) What changes do you want to see happen in the entertainment industry? There are all kinds of changes that I would like to see happen. More of a focus on Australian content across theatre, TV and film would be great. 6) Alex and Eve the movie is coming out in October, what do you want audiences to take away from this movie? If the audience goes away smiling having had a good time and perhaps have a bit of a think about their own views about people not from their ethnic background, then I would be pleased. Alex and Eve is in cinemas on October 22, 2015. ALEX AND EVE is based on the hit stage play by Alex Lykos, who also wrote the screenplay and was produced by Murray Fahey. The original stage play was first performed in Sydney in 2006, since then over 35,000 people have seen productions of the play in Sydney, Melbourne and Adelaide. Alex and Eve is directed by Peter Andrikidis and stars Richard Brancatisano and Andrea Demetriades as star crossed lovers whose parents forbid them to marry. 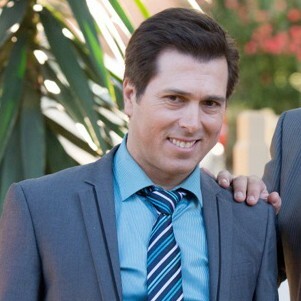 Alex is a handsome school teacher in his mid thirties and his parents want him to marry a good Greek girl. Alex falls hopelessly in love with the gorgeous Eve, a lawyer, whose parents are Lebanese Muslim. Like oil and water, the two should never mix, only how can they stop themselves from falling in love? Executive Producers Martin Cooper, Bill Kritharas and Producer Murray Fahey secured finance for the production in 2014. 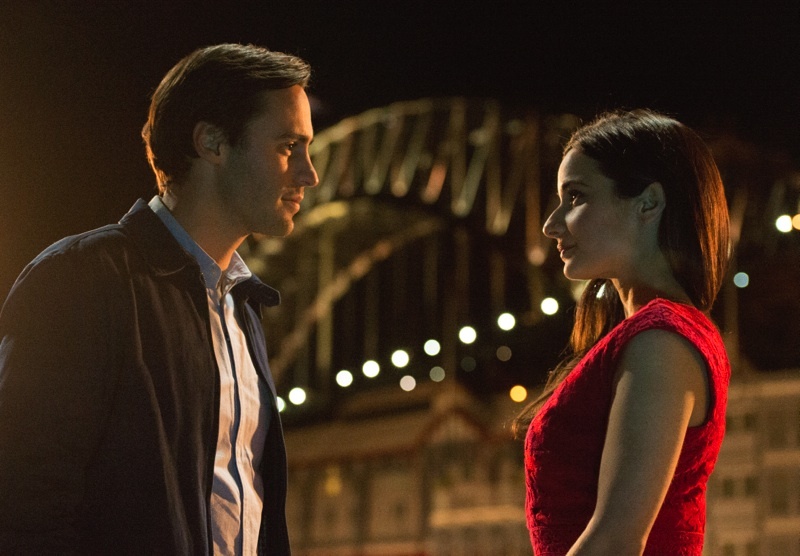 Filming commenced June 2014 and took place over five weeks in Canterbury, Lakemba, Glebe, Haberfield, Homebush, the Rocks, Croydon, Belmore, Auburn, and Leichhardt. 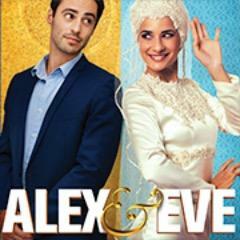 ALEX AND EVE is a family comedy about dating in modern day multicultural Australia. Photos and Alex and Eve synopsis courtesy of Alex and Eve the movie.